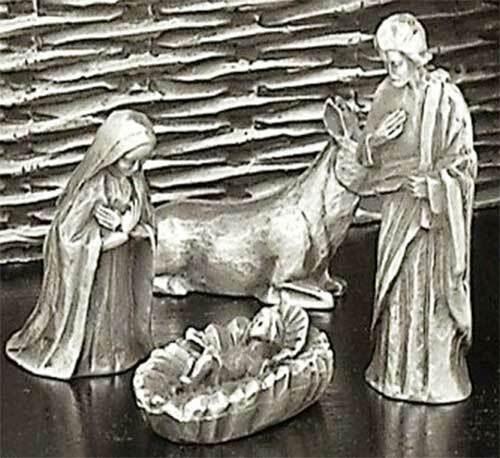 Irish Nativity decorations include figurines and ornaments. 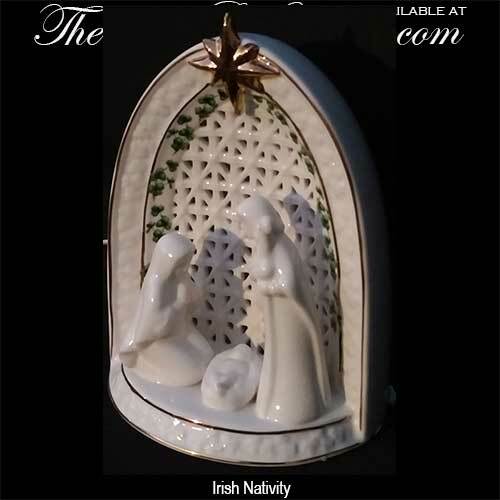 Several of the shamrock nativity sets feature the Holy Family enhanced with Ireland's iconic symbol. 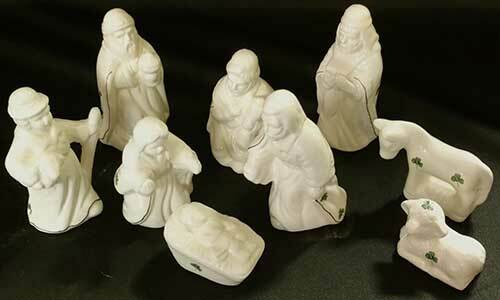 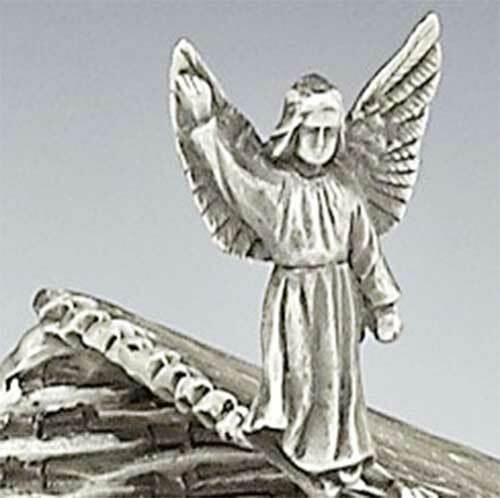 The Irish Gift House features a comprehensive selection of Irish Nativity sets and ornaments. 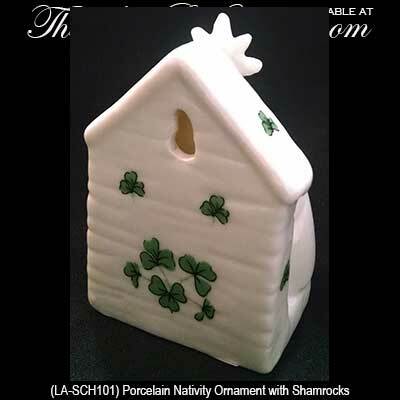 Naturally, many of these Irish Christmas decorations include shamrocks. 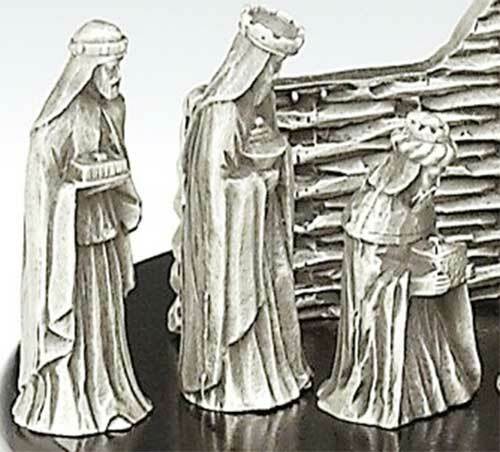 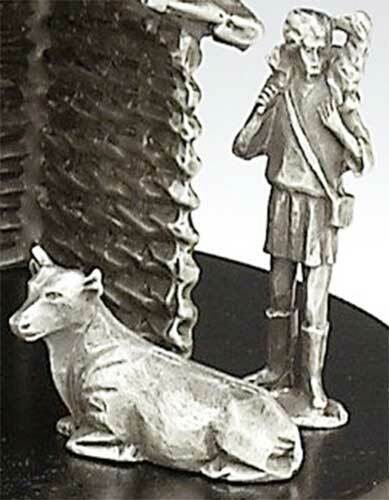 Christmas Nativity is an Irish made design that features detailed pewter miniatures along with a pewter crèche and wooden base. 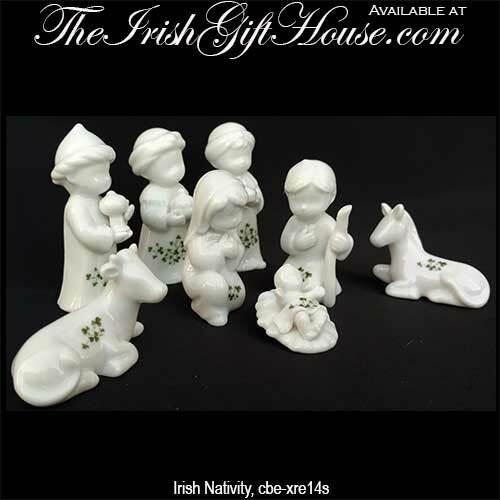 Irish Nativity set is a porcelain design that features 12 shamrock enhanced pieces that includes an angel and the stable. 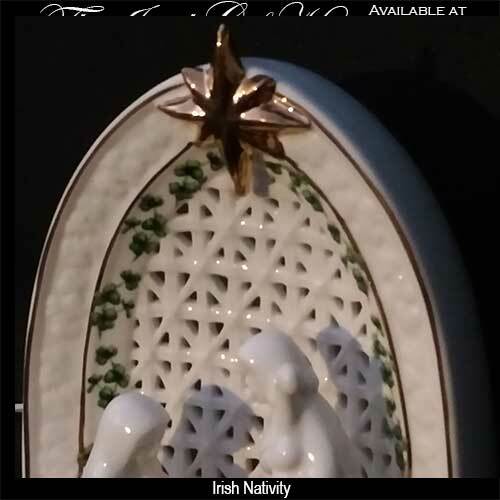 Irish Nativity set is a porcelain design that features 8 shamrock enhanced pieces. 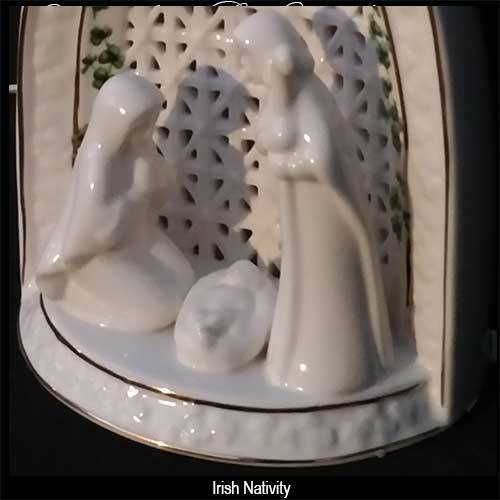 Irish Nativity with shamrocks is a lights up porcelain design that would make a great Christmas decoration or night light. 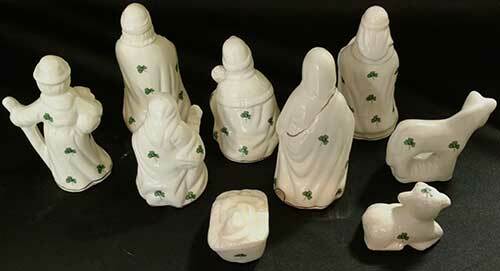 Irish Nativity set features 9 fine bone china pieces that are enhanced with shamrocks. 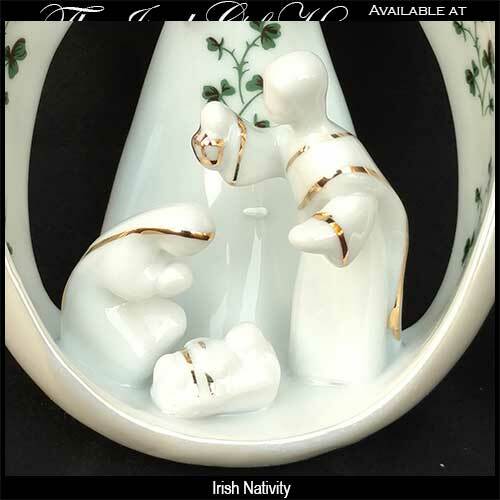 Irish Christmas ornament is a Nativity that features a shamrock enhanced angel cradling the Holy Family. 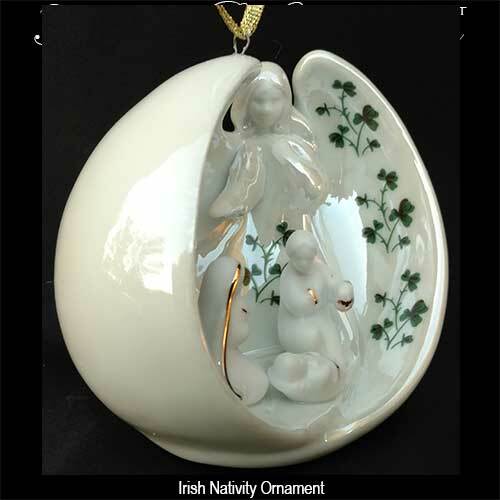 Irish Christmas ornament features a Nativity that is wrapped inside of the wings of a shamrock enhanced angel. 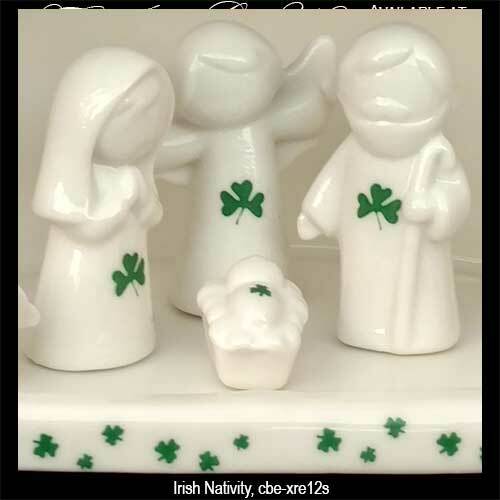 Irish Nativity is a 3 piece set of the Holy Family with shamrock accenting. 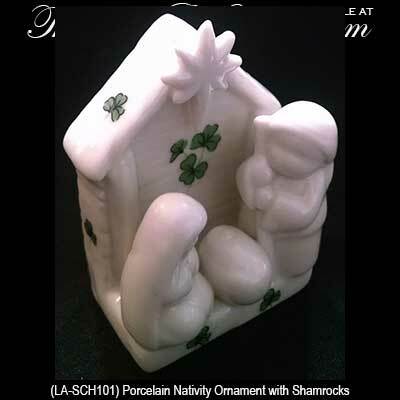 Irish Christmas ornament is a Nativity that is enhanced with shamrocks. 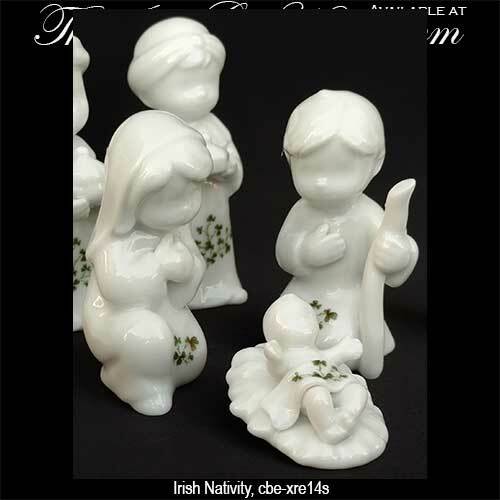 These Irish Nativity gifts, either as an ornament on your tree or as a centerpiece, will be a focal point of your holiday display. 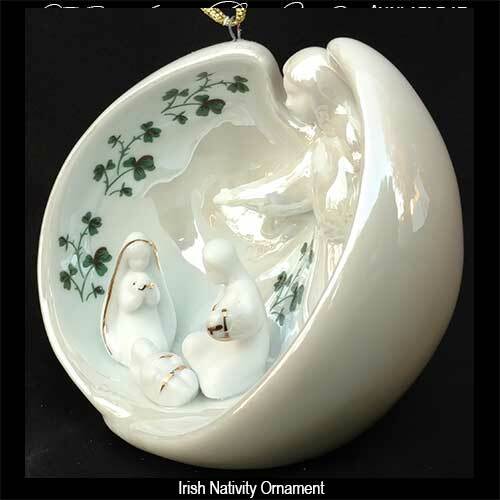 You may wish to add additional Irish Christmas decorations and for that we wish to direct you toward our huge selection of Irish Christmas ornaments. 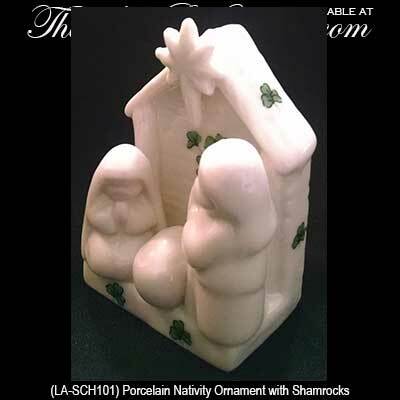 We also have a vast assortment of Belleek ornaments; so many that we had to give them their own page. 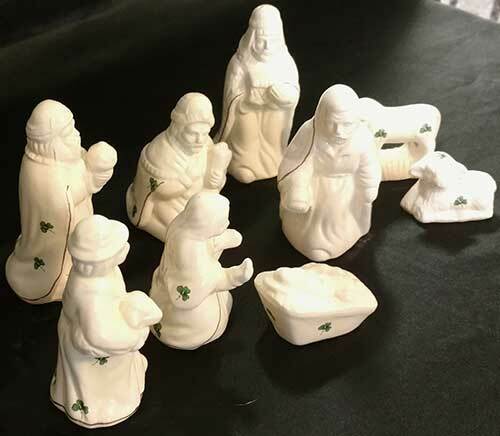 The Irish Gift House also has an assortment of Irish nutcrackers; these figurines and ornaments feature plenty of shamrocks and will be a great addition to any collection. 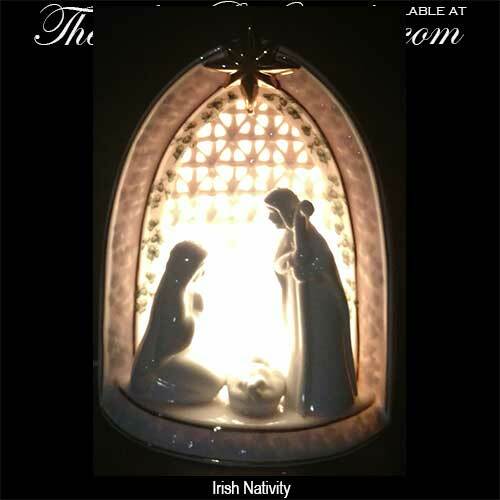 Another of our unique decorations are the Irish Christmas stockings; these stockings should be hung by the chimney with care.